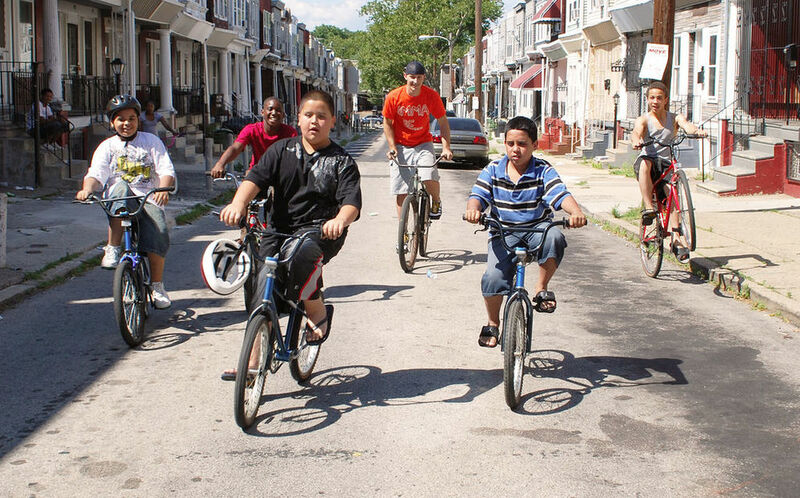 PURPOSE: Coordinate collaborative art project with community members and youth; commissioned by local Bicycle Shop. MAJOR TAKEAWAY: Incredible outcomes of enabling youth to coordinate and host a volunteer community art project. The mosaic created at Simple Cycle was the first commission that Orange Korner Arts had received by a neighborhood business. The owner wanted a mosaic to cover one of the walls in his shop. He wanted to have the youth involved at Simple Cycle contribute to the project to encourage more local ownership of the shop’s physical space. I worked with a group of seven young women at OKA to facilitate this mosaic project. We chose Dr. Martin Luther King Day, traditionally a day of service, to invite the community in to help. I taught the students the skills they needed to host volunteers: ushering the volunteers to the project, teaching them how to tile the wall, and supervising to uphold a level of quality to the work. Collaborations were key for the success of this project. 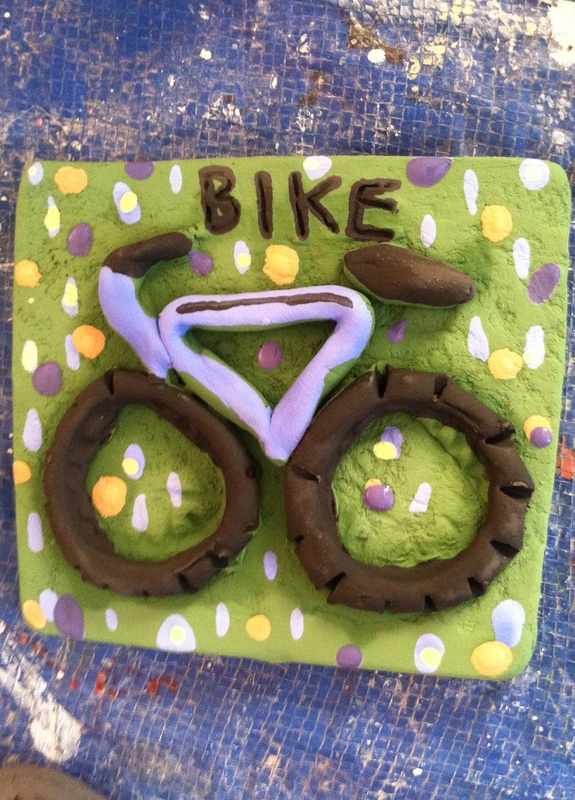 We hosted a workshop for the mosaic students at Orange Korner Arts and the youth involved at Simple Cycle to create tiles to be used in the mosaic. This created an opportunity for a unique collaboration: two very different groups of kids from the same neighborhood working together around the table to do something good for their community. Additionally, two organizations chose ours to be their MLK Day of Service Project. One challenge in relational art making is to define the unique levels of contributions from the artists, the community, and if applicable those who commission the work. Simple Cycle’s owner had a specific design in mind to communicate a message relevant to his non-profit bicycle shop. The contribution of the youth was to facilitate the project by inviting contributions from the greater community to create the mosaic. As the artist, I contributed my knowledge of the medium to create a lasting mosaic mural. I loved to watch my mosaic students persevere through the struggles of the day. They worked to remain welcoming to all volunteers even engaging kids that were a little too young to work on the wall. They supervised in an authoritative manner but with kindness and gentleness while maintaining quality to the work. At times, they were overwhelmed by the need to provide tasks for many volunteers simultaneously and struggled to ensure that all participants felt “helpful.” By the end of the day they were exhausted but very, very proud of what they (and all 56 volunteers) had accomplished.